Global Peacefood is good against hunger and thirst, live-affirming, beautifully designed, painstakingly put together, funny, tasty and mercenary. 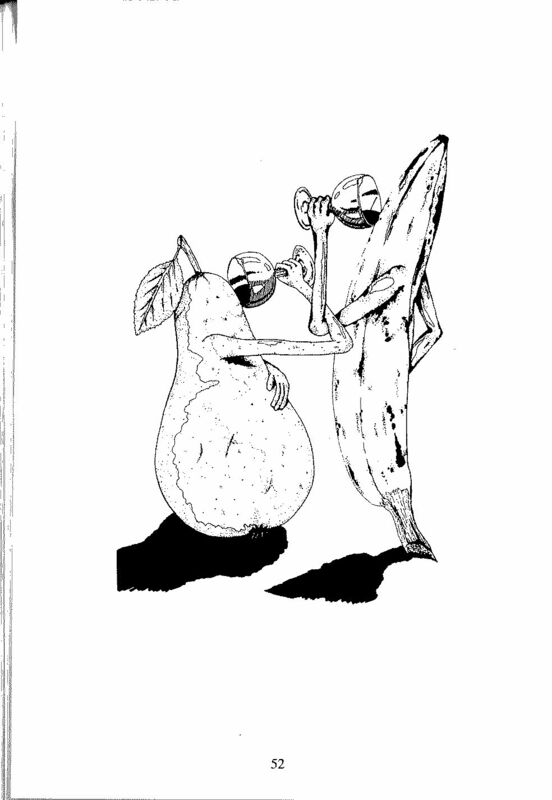 The inspiration to write and to discuss this cooking booklet, is born from the realization that my idol George Harrison spoke so vehemently for a vegetarian lifestyle. Already starting in 1968, he has found this optimized nutrition and since then always beat the big drum for it. As also described on our website harigeorgeson.com, he did so with great passion and joy, because he valued good food himself and was good friends with the peacefood idea and the resulting culinary dishes. In his interviews, we see his thoughts on the peacefood idea on many places, and his indications of how delicious this cuisine really is. I liked his motto for this, too, "You are what you eat". In this sense, good luck and bon appetit.! We think that the time for half-hearted appeals is over and hope that the message of this book comes goes down well at you, too. Therefore, we are also clearly on the side of animal welfarists and the ethical vegetarians and think that humanity reaches a new awareness only if they are willing to change their destructive eating habits, and to regard animals as their God-given siblings again. "He (Pythagoras) was the first one who complained about being nourished by the flesh, the first who granted wisdom - but the people did not want to believe, hear or understand. Mortals, beware of staining your bodies with blasphemous food ..! There are grains and fruits, burdening the tree's branches, the vines are full of bursting grapes, there are herbs full of sweetness and others that you cook soft and gentle with fire, no one does take away the moisture of the milk, nobody takes away from you the honey scenting of thyme flowers. Wealth the Earth donates lavishly, peaceable food. And she grants you dishes that are free of murder and of blood.! " "Only through its physical effects on the human temperament, the vegetarian lifestyle would affect the fate of humanity extremely positive." Therefore we say no to meat, fish and eggs - the last meal after the execution of innocent life. So let's say goodbye to conventional eating habits, and let's dive into a way of life, which before us was suggested by Socrates, Buddha, Pythagoras, Diogenes, Schopenhauer, Albert Schweitzer, Seneca, Plato, Wilhelm Busch, Mahatma Gandhi, A. C. Bhaktivedanta Swami Prabhupada and George Harrison. Let's enqueue into the large numbers of sages of the world and try the vegetarian, culinary, exemplary oriented kitchen of the new millennium altogether. 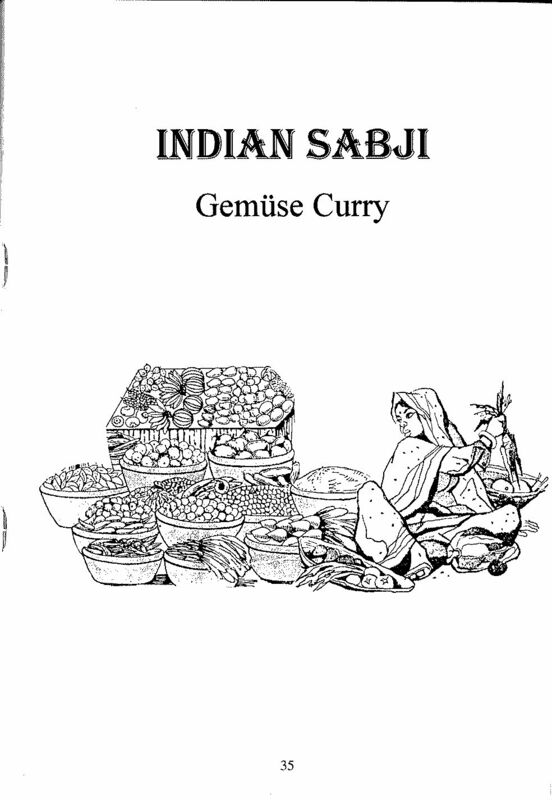 This book would like to make a small contribution to create a more peaceful coexistence between animals and humans, and as we turn to the Indian art of cooking, we hope to provide inspiration for your own cooking experiments. But first, a short detour into the ethical ramifications of the causa vegetus. "The question that presents itself to us today is, ...... do we have any right to kill animals at all? This question brings us into the realm of ethics. Ethics is the study of morality and responsibility. It not only deals with the material aspects of our world, but also tries to realize the higher laws of life. But in this age of physical, technical progress, the ethics is often neglected or easily rotated in accordance with the actual goal, or ignored altogether. Without ethics, without asking about the meaning and value of an action, all science is ultimately meaningless and worthless. Ethics should therefore be the basis of any scientific endeavor.! The Greek word ethos, from which the term -Ethics- is derived, means -inner attitude-, fashion and lifestyle, resulting from the man's responsibility towards creation. Therefore it is not surprising that the representatives of a consistent ethic always have dealed with the problem of meat eating also. The Word -vegetarians- which was coined in 1847 by the founders of the British Vegetarian Society, has its roots in the Latin word vegetus - lively, agile, sprightly, fresh and vigorous. 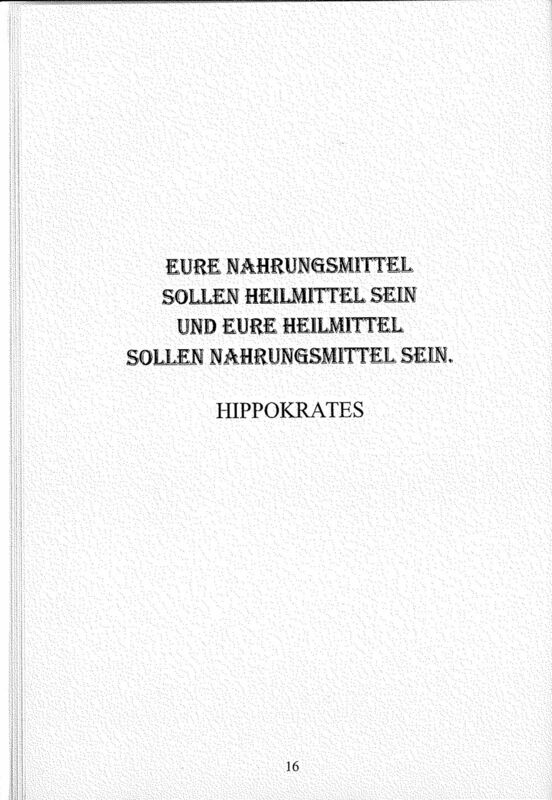 With the expression -homo vegetus-, the ancient Romans called mentally and physically healthy, vital people. The original meaning of the word thus points towards a holistic and harmonious approach to life that involves much more than just the diet with cereals, vegetables and fruits. Surveys among vegetarians accordingly show that a majority of the respondents, not only for health or nutritional reasons, but also from ethical and philosophical reasons, eat no more meat. Most vegetarians are people who have understood that we, as a contribution to a more just and peaceful society, must first solve the problem of violence in our own actions. They have become aware that meat consumption brings along a massive use of violence against other living beings, which is not only unnecessary but is also ethically irresponsible.! "Is not a gracious act to protect animals, but a law of nature. We rarely make it conscious to ourselves, namely if we are looking, exceptionally." How can one, on the one hand, keep a dog or cat as a pet and love this animals - often they are practically family - and, on the other hand, eat the flesh of calves, pigs, lambs and chickens without hesitation.? No family would kill and eat their own pet. Especially for children such manslaughter would be such a traumatic experience. Why then draw a line to other animals, just because they are not "pets", but are labeled as "slaughter" and are killed for payment of another person.? Isn't such treatment of animals inconsistent and unethical.? The foregoing considerations show that the eating of meat for humans isn't necessary or beneficial to health in any way, and it still brings many economic and ecological disadvantages. Nevertheless, there is a common argument: "Whatever the case - it still tastes to me." Wherefrom, however, do we reserve the right to exploit other creatures and kill them only to eat their meat - on the grounds that it "tastes", and that we feel like eating it.? From an ethical point of view, therefore all meat eaters would need to put up with the question: Is the alleged suffering that I prepare myself, through the "abandonment" of flesh, greater than the suffering of animals which must be killed so I can buy and eat their flesh.? " Do unto others as you would be done by. For isn't it natural that what I don't wish to happen to me, I don't let happen to other creatures.? Wouldn't it be very unwise and ungenerous of me because I only wanted to do it to give me just a little pleasure, at the expense of another's suffering and strange death.? Now that these creatures (children & animals) are smaller and weaker than we are, what sensible and noble-minded man could derive a right to abuse their weakness and smallness.? Isn't it that way in reality, that the taller, stronger, superior should always protect the weaker creature, but not exploit, torment, torture, kill and eat.? Of course, nobleness obliges, but it is not our destiny as humans to develop noble sentiments in order to arrive in true humanity.? Therefore we think, may man be noble, helpful and good, read this book and feel encouraged to change one's life, to strive for nobleness. 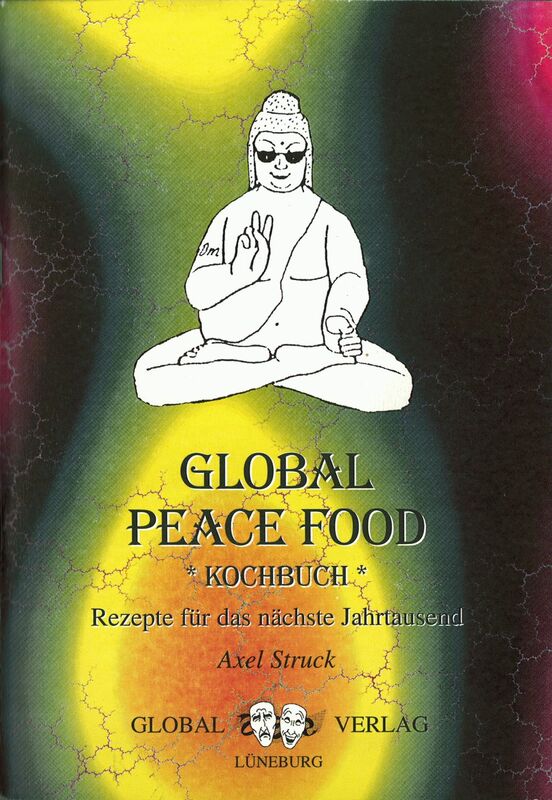 Where is the Global Peacefood cooking booklet available? 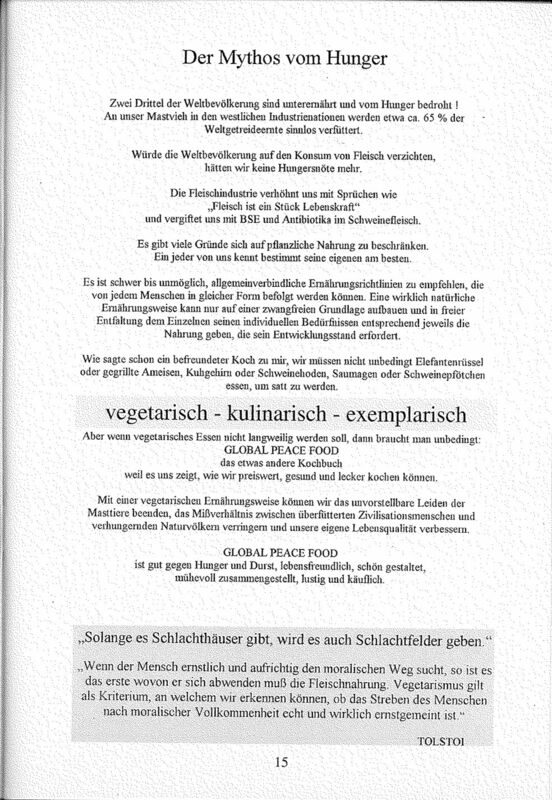 The cooking booklet (only in German) is given in return for a donation for an affair of the heart, as little "thank you" from us. More details can be found here.